• Presented here together with background notes and images. This remarkable set was performed for radio broadcast during a short-lived venture between the legendary San Francisco station KSAN-FM and fabled studio The Record Plant, in Sausalito. 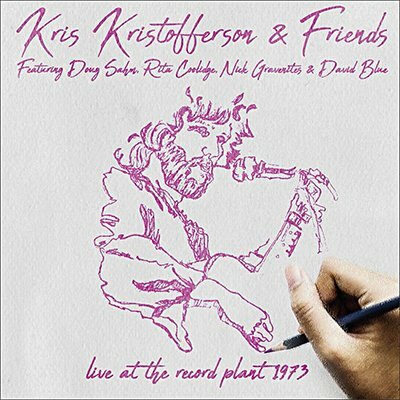 Infectiously loose and good-natured, it includes guest performances from Rita Coolidge, Doug Sahm, Nick Gravenites and David Blue, but really belongs to Kris Kristofferson, then riding high as both a singer and actor. Featuring material by him, John Prine, Mickey Newbury, Paul Williams and others, it's presented here in full, together with background notes and images.